The Winter 2017 Cohort Of 20 Startups Belongs To Five sectors – Enterprise, AI, Consumer Internet, Healthcare And Fintech. Bengaluru-based early-stage venture capital firm and accelerator Axilor has shortlisted 20 startups for the Winter 2017 accelerator programme. 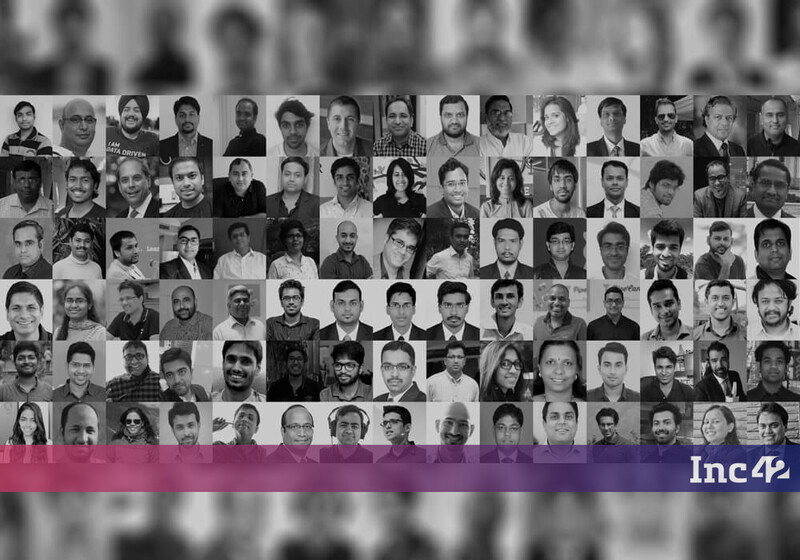 Founded by entrepreneurs and business leaders Kris Gopalakrishnan, S D Shibulal, Professor Tarun Khanna, Srinath Batni and Ganapathy Venugopal in 2014, India’s leading accelerator platform Axilor Ventures, is counting big on mentoring early-stage startups, assisting them in securing Seed funding. For every shortlisted startup, the 100-day accelerator programme is supported by Axilor’s $38.87K (INR 25 Lakhs) fund through Axilor’s Scale-up programme. The programme also helps them in fundraising from other angel investors and VCs. The Winter ‘17 cohort of 20 startups primarily belongs to five sectors – enterprise (5), AI (5), consumer internet (5), healthcare (2) and fintech (3). Here are the 20 startups selected for Axilor Winter 2017 Accelerator Cohort. Founded by Pankaj Pawan, Manish Arora, Samir Otiv and Tarun Mishra in 2017, Maximl enables heavy industries gain intelligent control over complex processes through machine learning. Its flagship product SyncOps is a solution to maximize the efficiency of industrial projects and help industries solve the long withstanding problem of knowledge management. They have successfully conducted pilots with some of the industry leaders in O&G and steel sectors. Founded by Vinay Bapna and Mayank Sharma in 2015, Unomer is a mobile in-app consumer insights and market research platform. It enables brands to gather deep insights from targeted consumers through the mobile app networks. It currently serves over 20 large consumer brands in India. Founded by Puneet Kataria and Amritpal Singh in 2017, CustomerSuccessBox is an Actionable Customer Success Platform for B2B SaaS businesses. It uses patent pending technology to monitor “account health” by tracking product adoption that allows businesses to take “proactive actions” to retain customers and grow their recurring revenue. It currently has 20+ global customers. Founded in 2016 by Sarvesh SG, Sandeep Hiremath, Ravichandra Patil and Govindarao Annigeri, Goflamingo offers an integrated solution for procurement and logistics problems of large institutional buyers. With its product, large institutional buyers can solve for their procurement problems by connecting with producers and ensure fulfilment through their aggregated logistics model. Founded by Sankaran Kaliappan and Vandhana Valaguru in 2016, Journee helps public transport authorities maximise revenue and optimise operations by harnessing real-time data around public transport usage. With their integrated ticketing and analytics solution, leveraging India Stack, Journee will power the move to ‘smart’ urban transportation infrastructure. It is currently in pilot stage with two RTCs. Founded by Saurav Gupta and Arun Singh in 2017, Alice is an AI-powered video surveillance platform. Its algorithms are trained to convert unstructured surveillance video data into vertical-specific structured information to allow automated real-time alerting and efficient post-facto analysis. It currently runs pilots with large customers in O&G, education and real estate. Founded by Rajiv Poddar, Scribie.com brings AI to one of the most manual processes – audio/video transcription. Scribie’s AI powered editor reduces the manual effort by 80%. With over 5000 customers across several large verticals for its services, the company is currently building its automation capability. Founded in 2016 by Raman Shrivastava, Prateek Gupta and Sumant US, Marax helps consumer businesses manage churn using AI and deep learning. With the ability to predict potential churn and initiate contextual actions, the solution enables businesses to solve the leaky bucket problem. It is currently in use with some of the large consumer businesses in India and Hong Kong. Founded in 2016 by Gaurav Shrivastava & Prahlad K. Routh, Pensieve is built with a vision to use ML, NLP, AI Technology to provide data driven intelligence. Mitra, the product is an AI driven legal research platform. It helps legal professionals research better and draft case notes faster. It is currently being used by over 1000 lawyers. Founded in 2015 by Ram TR, Predictly’s flagship product Luminate.ai is an AI-driven platform to make websites more discoverable and engaging for visitors. Luminate is simple to implement and manage, there is no coding required. The product will improve website traffic and increase revenues of bloggers and content aggregators. It is currently in beta stage with over 20 signups. Founded by Shivani Maheshwari and Sunil Kumar in 2016, Clorik simplifies vernacular content and video discovery by categorizing it based on interest and language. Users choose their preferences for getting content ranked based on relevance. It is currently expanding its organic base of over 60k+ users with a 10%+ w-o-w user growth. Founded by Kumar Saurabh and Kapil Agrawal in 2017, Khidki is a vernacular location based social platform for Indian language users. It uses AI to render personalised feed and makes generating Indian language content super easy. It is currently expanding its organic user base of over 20K. Founded by S.Keerthivasan in 2016, Playtoome is a platform for fans to experience live performance and interact with their favourite artists at a small fraction of the cost of a live show. It helps artists build a fanbase and earn while performing anytime, anywhere. It is currently trending one live concert a day, have already onboarded 100+ artists and 10,000+ fans. MeTripping is an applied AI travel search platform that replicates how people think about travel. A product-focused startup, MeTripping was founded in 2016 by Varun Gupta, a Harvard MBA while Gaurav Bahrani, (ex- Microsoft & Yahoo) provides technology leadership. MeTripping employs machine & deep learning to make travel search contextual and simplify decision-making for thousands of users every month. Founded in 2015 by Sathya Narayana and Shruti Sinha, Rehash is a unified post-sale technology platform to enrich Consumer Experience. It is a single app for consumers to manage all their post-sales engagement needs for consumer durables like repair, renewal of AMCs, resell and recycle. It is currently working with 6 larger category-leading consumer brands. Founded by Anurag and Ankit in 2016, Betterwealth.in is a single window wealth management platform for enterprises, getting them a 6-8% return on their liquidity. It currently serves SMBs. Founded in 2016 by Rakesh Ramachandran, Rajiv Chandran, Jim Safran and Brennan Bennett, Qbrics is an Enterprise blockchain platform for blockchain interoperability, quantum secure data governance and custom access control. It is currently in beta stage. Founded in 2016 by Sumit Agarwal, Ruqiya Irum and Shubham Agrawal, Vyapar is a complete GST compatible business accounting solution aimed at simplifying business management and tax filing needs of small business owners in the simplest way possible. It is already in use by 7000+ paid users and is steadily growing. Founded by Kalyan Siva, Venkat Mani and Syed Ahmed in 2015, 5C is the easiest way for hospitals and diagnostic centres to receive a radiology report. They are solving the problem of lack of availability of radiologists on demand for healthcare centres. Through their lean SaaS model they eliminate diagnostic delays, increase radiologist throughput, accuracy and reduce fixed expenses for hospitals. It has so far been deployed in over 100 hospitals and diagnostic centres across India. Founded in 2016 by Taniya and Karan, Zoe helps users with busy lifestyles and hectic schedules achieve their health goals through its detox products. It has served over 10,000 customers so far.